In the United States, the number one cause of death are heart attacks. Between stress at home and work, bad food, and an increasingly sedentary lifestyle, heart disease and heart attack are becoming considerably more common. Of course, you can help turn that trend around by leading a healthy lifestyle full of exercise and good food, but still, it’s important to recognize the early signs that a heart attack is coming your way. Shortness of breath can be about a jillion different things, and all of them should be checked out by a doctor. 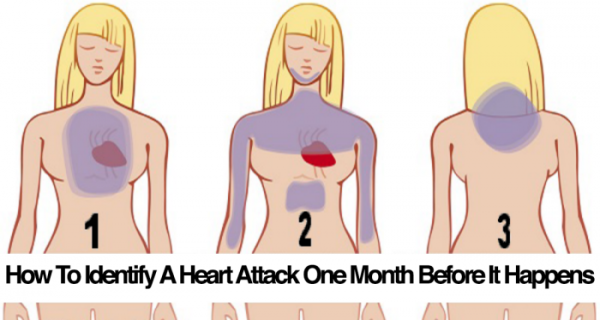 It is a sign of impending heart attack because it means your lungs aren’t getting as much oxygen into your body, which could be a result of the heart not pumping blood effectively. With less oxygen in your blood and arteries narrowing, your heart has to work harder and your cells don’t get as much oxygen. As a result, you feel your energy levels drop. Poor circulation causes the blood to your brain to be restricted, which by itself is life threatening. This will manifest as dizziness and then cold sweats. Don’t ignore this. Not pain, but pressure in the chest. If you’re experiencing any discomfort in your chest, whether minor or significant, it’s another sign that a heart attack could be on the way. If you or someone you love is experiencing any of these symptoms, see a doctor immediately. It may be that the ‘big one’ is right around the corner.